For YEARS I’ve admired Lela Rose’s work on the runway. Her whimsical patterns and lady-like silhouettes have made me a true avid fan. (See previous coverage here and here.) So when news broke yesterday that Lane Bryant is collaborating with the high-end designer on a plus size collection. My. Heart. Stopped. THIS is the collection my fashion heart has been waiting for!!! It’s certainly welcomed news after feeling slighted time after time by other high-end/mass retailer collaborations who don’t offer consumers plus size options - I’m looking at you Target and H&M!! This will mark Lane Bryant’s third designer collaboration following the release of the Isabel Toledo collection and lingerie line with Sophie Theallet. Starting at size 14, the limited-edition line will consist of dresses that feature the designer’s signature watercolor prints and feminine style. (See above sketch). 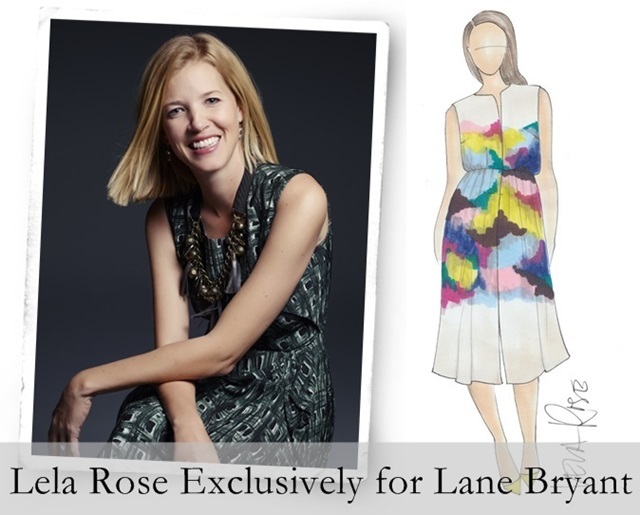 Lela Rose Exclusively for Lane Bryant will be sold online and in select stores. Additionally, two silhouettes will be sold in all 500 Lane Bryant stores in summer 2015. Color me happy! I heard about this. Sounds like it's going to be a beautiful collaboration.